At Grand Parkway Pediatric Dental, we provide preventative dental care for patients throughout the Richmond area and invite you to schedule a dental exam today. We know that if your child’s teeth are cleaned on a regular basis, it can decrease the risk of cavities or gum disease. Taking the time to have your child’s teeth cleaned can prevent general discomfort and infection as well. If your child has not been to the dentist in a while, now is the time to schedule an exam. Our staff can prevent many common oral health issues that will negatively impact your child’s quality of life. We are experts at preventative dental care, and will ensure that your child’s appointment is a positive one. At our dental office, your child’s comfort during and after the appointment is our focus. We practice preventative dental care and are regularly asked why it is so important. Virtually everyone is at risk for tooth decay. Tooth decay is so common that it is the number one infectious disease among children in the United States. Additionally, according to the National Institute of Health, 92 percent of adults ages 20 to 64 have had a cavity. With odds like these, the reason for having your child’s teeth cleaned becomes fairly clear. Simultaneously, we know that there is a direct link between visiting the dentist regularly and maintaining healthy teeth as your child ages. A Gallup study found that in states like Connecticut, where 74 percent of the adult population visits the dentist regularly, complete adult tooth loss is very low – 10 percent. However, in states where people don’t visit the dentist regularly, like West Virginia, complete tooth loss is incredibly high (up to 37 percent). The facts paint a bleak picture for those that do not visit the dentist on a regular basis. However, you can prevent cavities and infection in your child by simply scheduling preventative dental care appointments. To get started, call our office at (832) 246-7255. Our friendly team will be happy to schedule an appointment for a time that works with your job and family schedule to get the care your child needs. According to the Centers for Disease Control and Prevention, around 164 million work hours are missed every single year due to dental issues. These work hours can include having to take your child to multiple visits for dental work. If you have a demanding job or a busy life with the kids, you do not have time to be preoccupied with a dental emergency or severe toothache. The only way to prevent one in your child is through proper brushing, consistent flossing and a visit to our office for preventative dental care. A regular dental exam and teeth cleaning takes an hour or less. At Grand Parkway Pediatric Dental, we will work within your schedule, making it easy for people throughout the local area to schedule a dental appointment. We encourage you to take the time now so that you do not have to spend more time dealing with a dental emergency later on. In addition to helping your child avoid a nasty toothache and saving time, preventative dental care can also save you money. 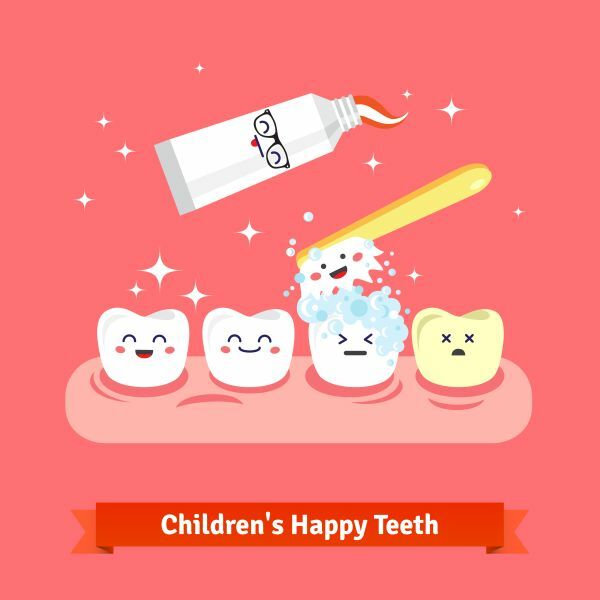 At Grand Parkway Pediatric Dental, we can treat your child’s dental problem, regardless of how minor or severe it is. We prefer to identify the problem before it has the chance to spread and cause your child a great deal of discomfort. 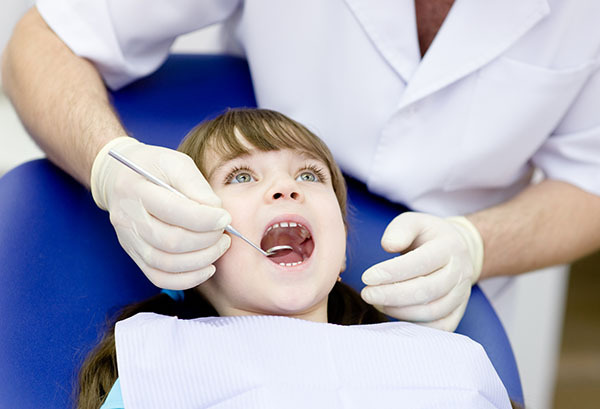 It is also important to note that if your child has a small cavity, all we need to do is remove the decayed portion. While the cost of every procedure depends on the extent of the work required, a good rule of thumb is that a filling will cost around a third of what a crown will cost. Catching a cavity early, when all that is needed is a filling, will provide you with significant savings. Unfortunately, those that do not receive regular dental care, often wait until the discomfort is so severe that they cannot stand it any longer. By not taking your child to regularly scheduled dental appointments, you can increase the cost of the emergency procedure and the number of times you have to visit. Given the higher cost, your child could have three fillings for the price of one crown. Therefore, preventative dental care makes financial sense. Check out what others are saying about our dental services on Yelp: Preventative Dental Care Richmond. Preventative dental care can save you money, when it comes to tooth loss. A leading cause of tooth loss among adults is gum disease. If plaque and bacteria are left in your child’s mouth, it can become trapped underneath the gum tissue. This can cause them to swell and bleed. With regular dental appointments at a young age, we can help build a healthy set of teeth for your child. During regular dental appointments, we can also identify early signs of gum disease and perform a deep cleaning if necessary. Once the plaque and bacteria have been removed, the gums should return to good health. However, if gum disease is left untreated, your child’s gums can start to recede and pockets can be created in the gum tissue. Over time, this will expose your child’s teeth to attack; eventually causing bone and tooth loss. While tooth loss will mainly be harmful to an adult with a permanent set of teeth, your child can still struggle with cavities and infection. Solutions for losing a tooth as an adult include dentures, a dental bridge, a dental implant or living with a missing tooth. All of these solutions are effective and can restore a smile. They will, however, cost you significantly more money than what you would spend on a simple teeth cleaning and dental exam for your child. If you are budget conscious, having your child’s teeth regularly cleaned should be a top priority. At Grand Parkway Pediatric Dental, we can work with you to create a plan for preventative dental care and address any current health issues that your child has so that the dental work is affordable. If you live in the local area, do not delay in scheduling your child’s dental exam. Call 832-246-7255 today.